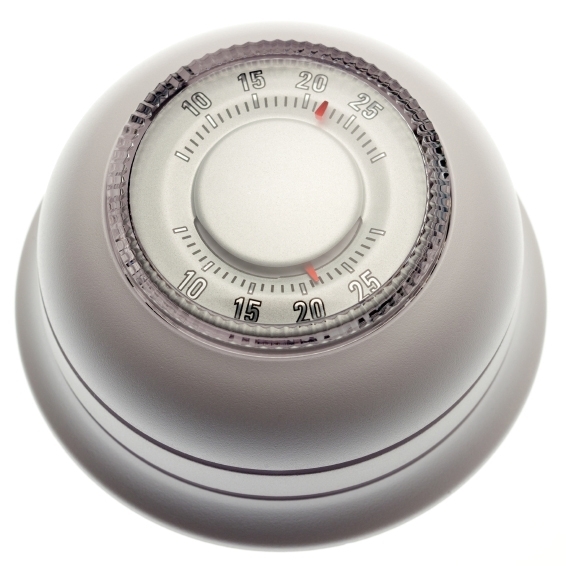 Until 2009, thermostats included approximately four grams of mercury in their design. Mercury, a potent neurotoxin, contaminates our air, waterways, and land, and harms human health. 20 states have therefore banned the sale and/or disposal of mercury thermostats. However, these thermostats were designed to last 30 to 50 years, so millions still exist on the walls of homes, businesses, and institutions across the country. According to a 2002 estimate from the U.S. Environmental Protection Agency (EPA), two to three million mercury-containing thermostats come out of service every year in the U.S., containing over eight tons of mercury. Safe mercury thermostat management is critical to protect the environment and human health. In 2001, thermostat manufacturers launched the Thermostat Recycling Corporation (TRC), an industry-funded national voluntary program to collect and recycle mercury thermostats. Heating and air conditioning (HVAC) wholesale distributors, household hazardous waste facilities, contractors, and thermostat retailers can sign up for a thermostat collection bin, providing a service to their customers that can increase foot traffic and customer loyalty. There is an initial charge for the bin (currently $25) in most states; otherwise participation is free. Unfortunately, the TRC program only collects about 8 percent of the mercury-containing thermostats coming out of service. The unsatisfactory outcome of this voluntary effort highlights the need for extended producer responsibility (EPR) laws, which would require the industry to fund and manage a thermostat collection and recycling program that meets specific goals and standards. In 2006, Maine passed the nation’s first EPR law for mercury thermostats. As of 2017, 13 states have thermostat EPR laws. Only Maine and Vermont’s programs require industry to provide a $5 cash incentive to the customer for every mercury thermostat he or she returns. As a result, Maine and Vermont have the highest collection rates in the country. PSI provides implementation support for mercury thermostat collection programs. Working with Oklahoma Department of Environmental Quality (DEQ) and Covanta, PSI has supported mercury thermostat collection at HVAC wholesale locations and other collection sites throughout Oklahoma. In partnership with the Illinois Environmental Protection Agency, PSI piloted a homeowner incentive program for retail thermostat collection, conducted an extensive outreach campaign to residents and small HVAC contractors to increase thermostat collection, and worked with retailers to expand collection infrastructure. PSI provides technical support to help stakeholders launch new mandatory and voluntary thermostat take-back initiatives or modify existing programs. PSI has hosted five webinars on lessons learned from existing mandatory and voluntary programs, outreach and education, thermostat take back in rural areas, and the role of retailers. Through U.S. Department of Agriculture grants, PSI has also provided free TRC thermostat collection bins and public outreach materials to advance thermostat recycling in low-income, rural areas. PSI monitors, informs and advocates for product stewardship legislation for thermostats. We offer expert testimony supporting EPR legislation for hearings and track state legislation to keep our members up to date. PSI has also developed comprehensive model state thermostat legislation. PSI mediated the nation’s first comprehensive thermostat legislation in Maine, assisted the Maine Department of Environmental Protection on its consumer and contractor collection programs, and began a thermostat mail-back pilot project. PSI brings together industry, state and local governments, recyclers, and NGOs to develop solutions to improve the collection and safe management of mercury thermostats. We organize and facilitate national conference calls that serve as a forum for information exchange to improve thermostat collection, outreach, and education initiatives. PSI provides tools for starting and promoting thermostat take-back programs. PSI has developed a Lessons Learned document for Voluntary Mercury Thermostat Take-Back Programs, a Model Demolition/Remodeling Ordinance requiring contractors to recycle mercury thermostats; and model utility contract language to require collection and recycling of thermostats removed as part of energy efficiency programs. For more information, please contact Suna Bayrakal at (617) 671-0616.